One is robust, the other relies on its sporty looks and attributes. 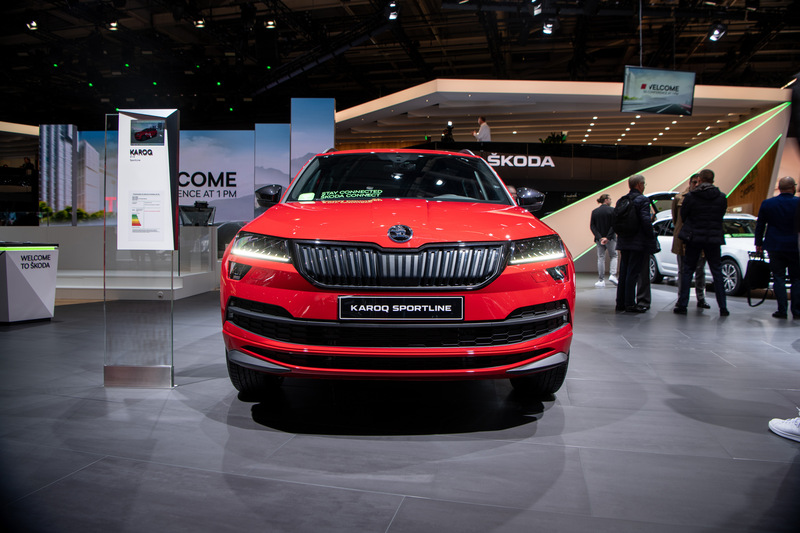 Both derivatives are based on the ŠKODA KAROQ, the popular SUV. Compare the two versions in our photos and video from the Paris Motor Show! 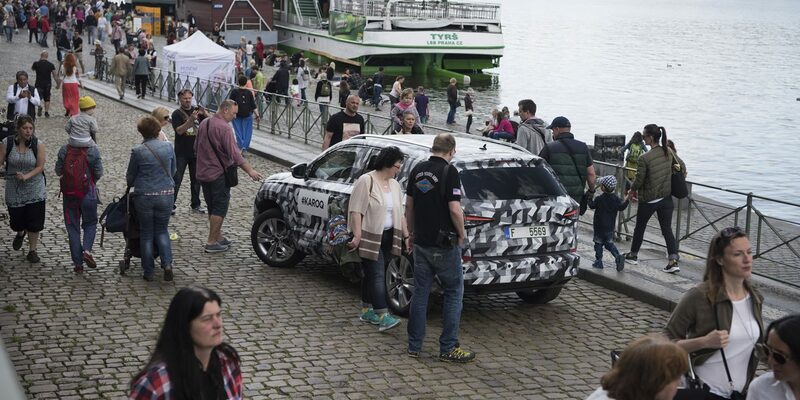 The KAROQ SCOUT’s details are silver-toned, whereas the KAROQ SPORTLINE accents are black. The SCOUT has a silver front bumper protector and chrom.grille has been given a high-gloss black finish. Spot the difference in the wing mirror covers, too – the SCOUT’s are silver, the SPORTLINE’s black. 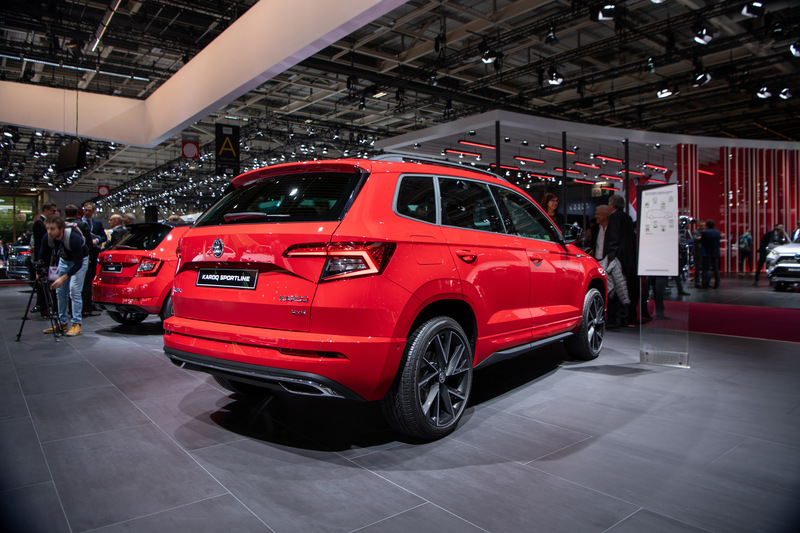 The same principle is repeated in both new ŠKODA cars’ rear sections – the SCOUT’s rear bumper incorporates a silver plastic protector, while the SPORTLINE features a black diffuser and chrome-plated trim. Viewed from the rear, it is also more noticeable that the SPORTLINE’s bumpers are both body-colour, but the SCOUT’s are black. 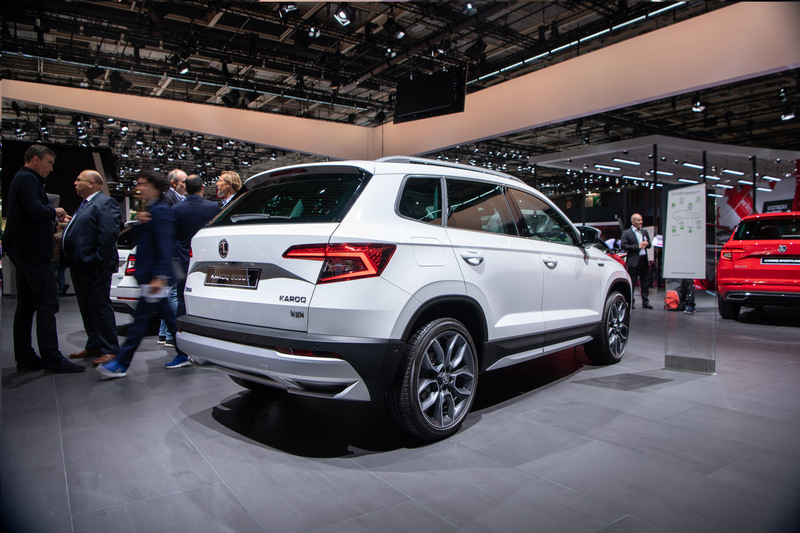 Looking at the cars from the side, you’re sure to notice the difference in the door sill design – the ŠKODA KAROQ SCOUT has black sills protected with silver plastic, while the ŠKODA KAROQ SPORTLINE’s are body-colour with black guards. 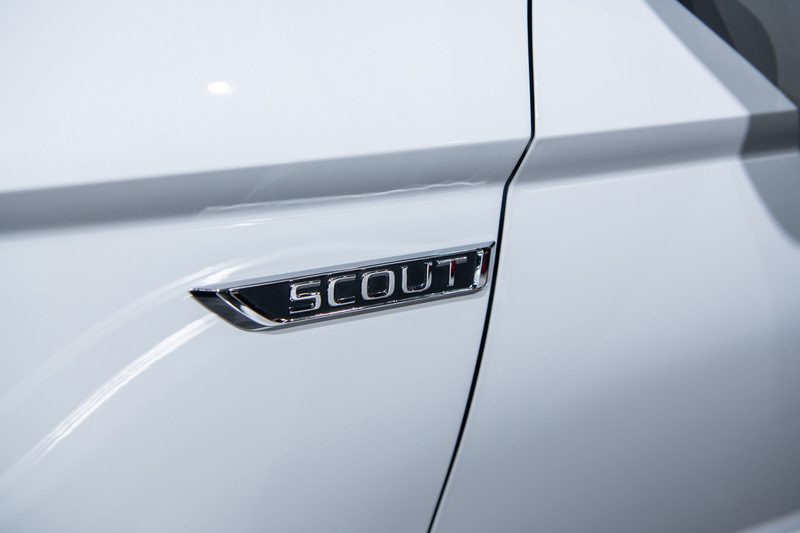 Again, the SCOUT features silver longitudinal roof rails and chrome window trim, and the SPORTLINE sticks to black. And if you’re still not sure which is which, both cars’ front wings are badged with their name, so you’ll have no problem telling them apart. 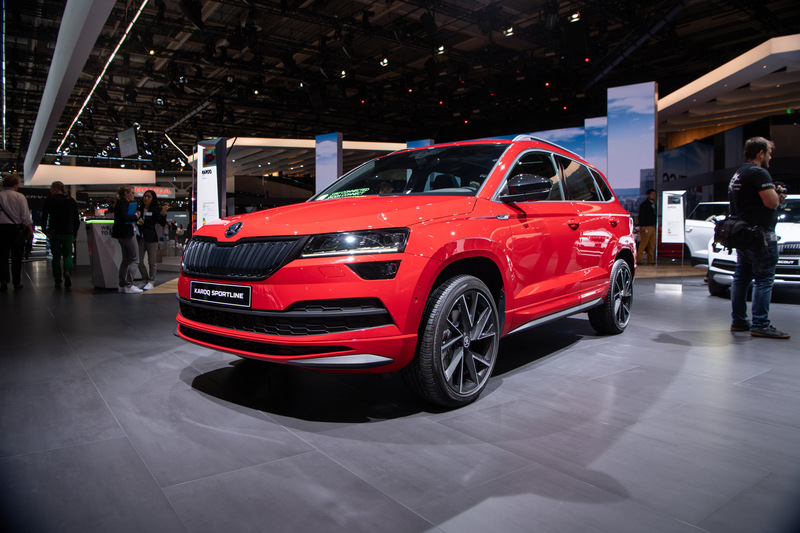 “We decided to spotlight the SPORTLINE’s dynamism with chrome-plated features in the black ŠKODA KAROQ interior. 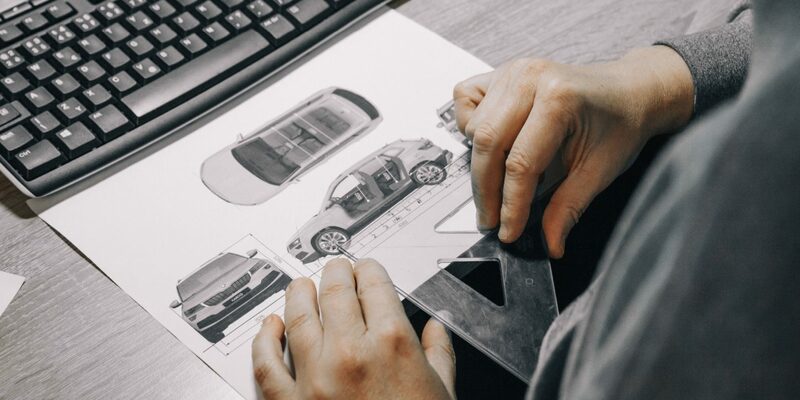 The sporty elegance is enhanced by carbon-fibre décor, silver seat stitching and other interior accents. 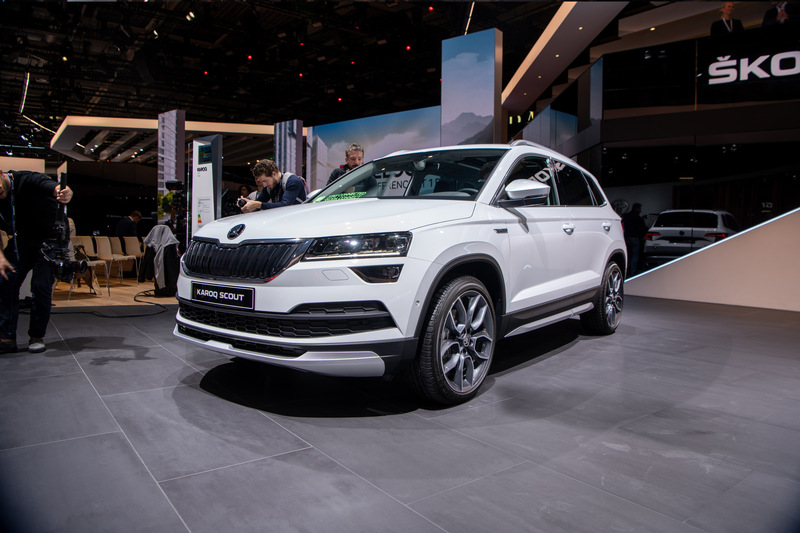 The seats, the same shape as those in the KODIAQ – the SUV in the class above, provide maximum comfort and proper body support in turns. 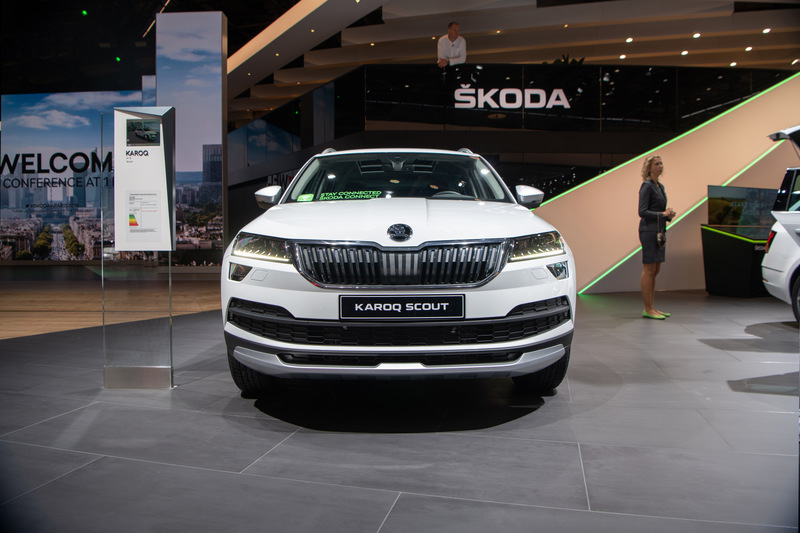 For the completely new upholstery, we used a special fabric integrating ThermoFlux to ensure maximum breathability.” Each of the new ŠKODA KAROQ versions also has its own specific infotainment screen welcome logo and, on the passenger-side dashboard, a badge with the name of the KAROQ version on it. 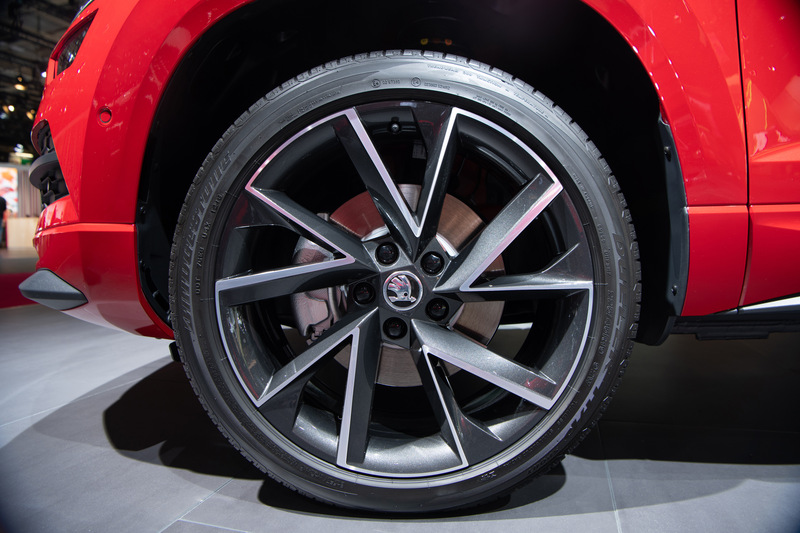 The wheels are also different in the two versions. 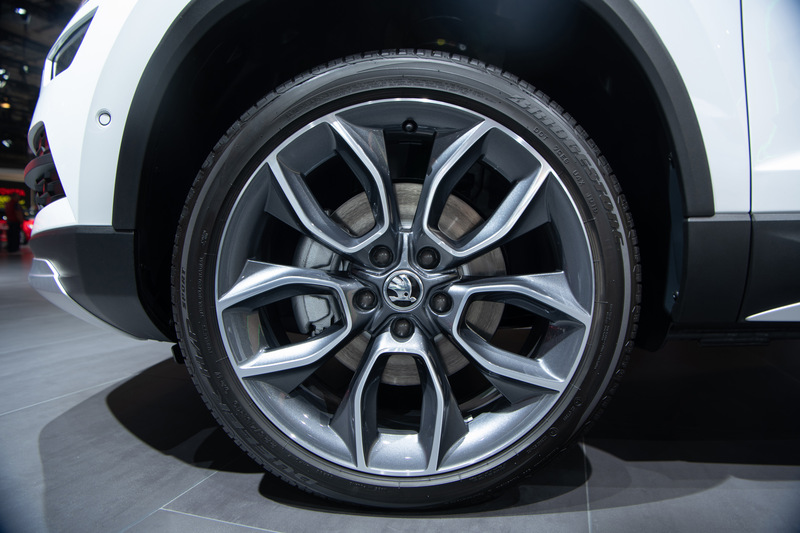 The alloy wheels are a standard 18" in both new cars, but the SCOUT is fitted with the more robust Braga design, while the SPORTLINE employs the optically lighter Mytikas design. 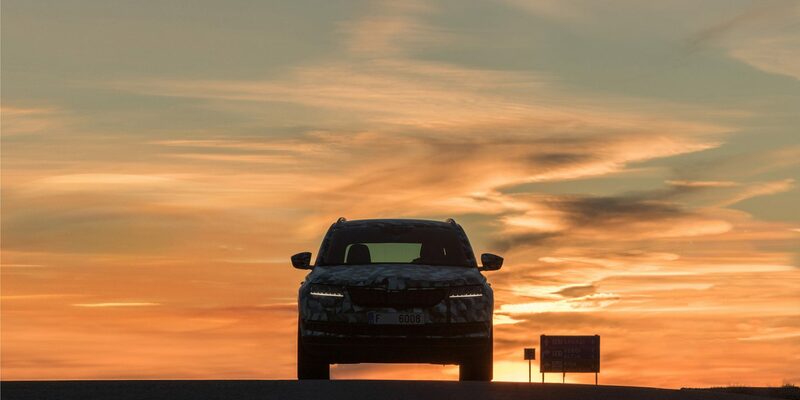 With both cars, there is the option of wheels an inch larger, so the SCOUT can ride around on 19” Crater wheels and the SPORTLINE can speed along on 19" Vega wheels. 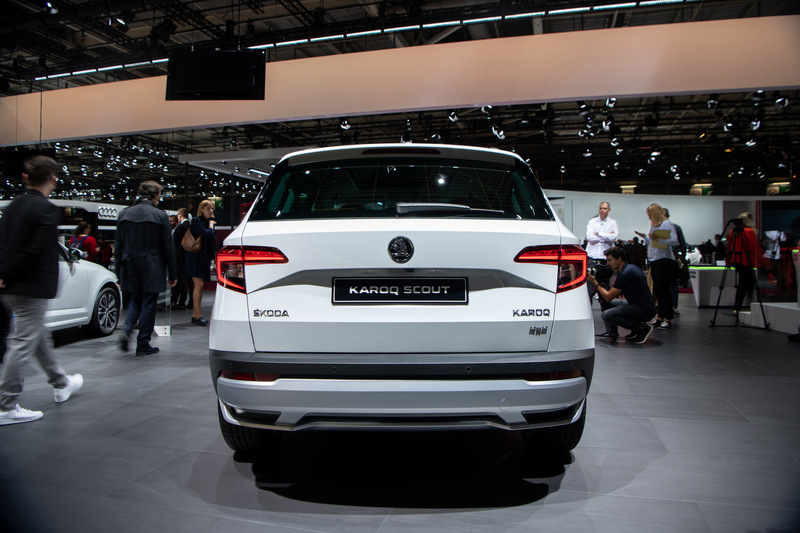 The last tiny difference lies in the wheel arch trims of the new ŠKODA KAROQ versions – the SCOUT’s are black plastic and the SPORTLINE’s are body-colour. 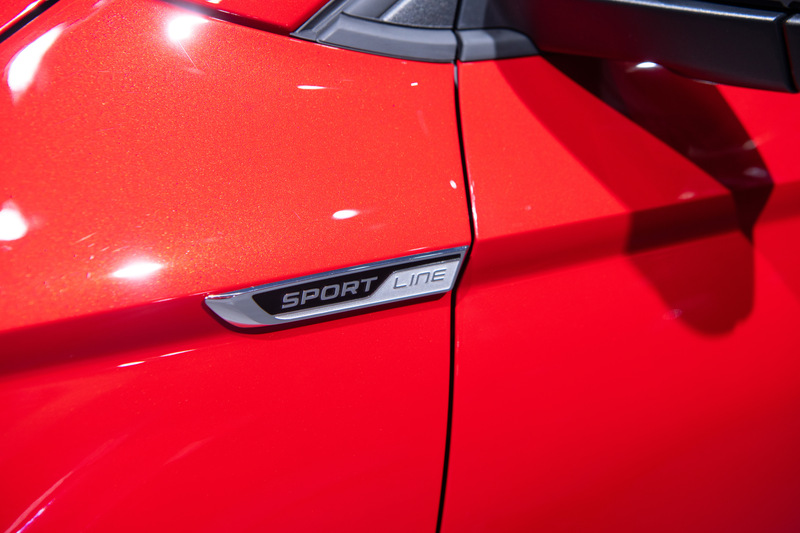 This detail underscores the off-road tone of the SCOUT, which is equipped as standard with intelligent 4×4 drive (available only with selected engines in the SPORTLINE, otherwise it is front-wheel-drive), the Rough Road Package, and Off-road driving mode to help the driver overcome obstacles. 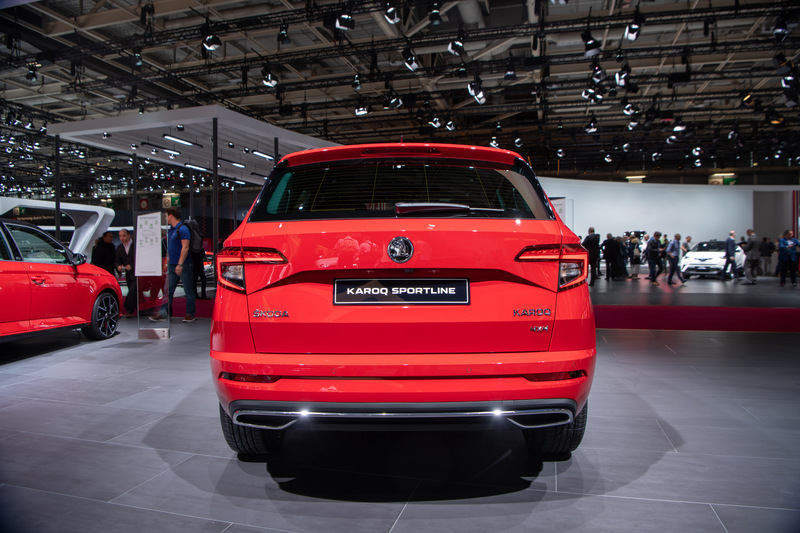 The SPORTLINE, on the other hand, is the only KAROQ to offer this model series’ most powerful petrol engine – the 140 kW (190 PS) 2.0 TSI engine.